While looking at book tags last month, I came across one labelled the 90s movie tag. I thought it was a really great idea for a tag, and it got me thinking about other movies I consider classics worthy of many, many rewatches. As it turned out, a bunch of the ones that came to mind were 80s movies, and so this tag was born! There are so many popular movies from 80s. However, finding prompts for them that wouldn’t be ridiculously difficult to answer and hadn’t been done a million times already was very difficult. So if I haven’t included one of your favourites, it’s probably because my silly brain couldn’t come up with a decent prompt for it (You have no idea how sorry I am to skip The Breakfast Club, Ghostbusters, The Terminator, and Star Wars Episode V: The Empire Strikes Back). When I first got into Harry Potter, I was about four years old. My mum and I would read the books together and we did this until about book four. 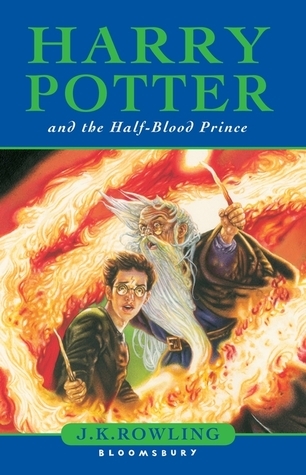 By the time Half-Blood Prince came out, I was in my teen years, a very competent and quick reader, and just dying to get my hands on it. 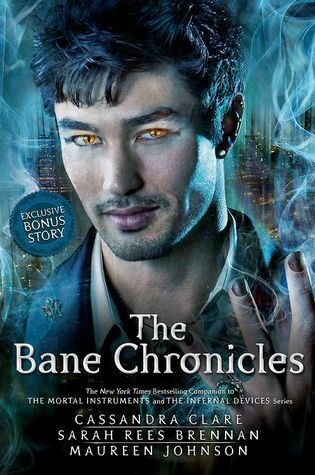 I read it during school lunch break, in between netball quarters, in the car, and late into the night. I just couldn’t put it down, I needed to know what happened next! I definitely gave myself a headache from eye strain but it was so worth it. With Kady, if you tell her one thing, you can pretty much guarantee she’s going to do the exact opposite. Kady purposefully fails the testing to place refugees from Kerenza into service and then spends the rest of Illuminae hacking into whatever the hell takes her fancy as well as running around parts of ships she probably shouldn’t. Told to get rid of the crazy AI? Nah, let’s just save it to a datapad. You can also be sure that no matter what’s happening, she’ll be putting her two cents in. 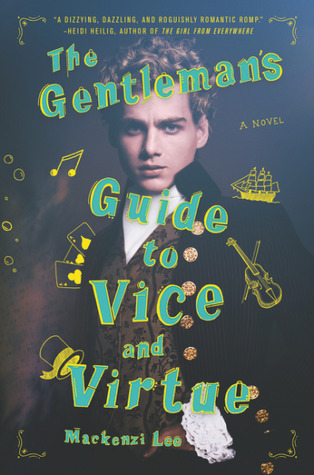 So, you start this series and get a general idea of the kind of books they are – it’s fantasy but mostly romance involving a lot of questionable content (don’t say I didn’t warn you). It also happens to involve a great deal of banter, sexual tension, and loads of sexual references. For this reason, you’d expect the two leads to get down to it some point soon, right? NOOOOPPPE. You’ve got to make it through the whole of book one AND THEN about two-thirds of book two before you get just about anything. This series redefines slow burn romance. 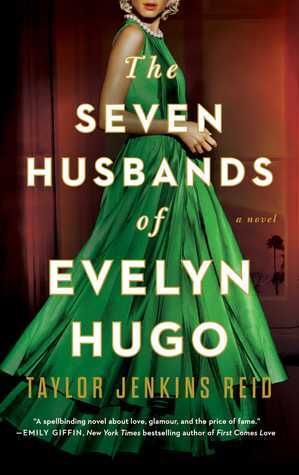 If you’re into these kinds of books (book 2 is a lot better than book one and with far more substance, just sayin’), be prepared for a long wait. I read this book after watching the mini-series across a few international flights. It’s a bit of a change of pace for Mr King but it’s very well done. 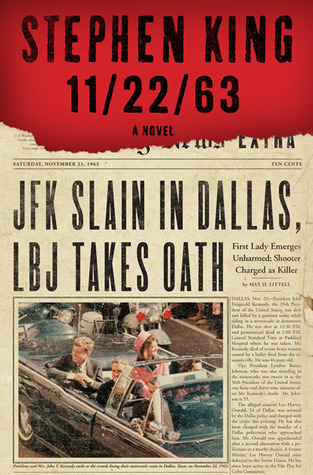 Time travel is key to the plot in that it revolves around an English teacher travelling back to the early 60s in an attempt to stop the assassination of JFK. The characters are good, there’s some mystery and romance, and as usual for King, the writing is great. If there are two things we can say about Magnus Bane, it’s that he’s (a) sassy and (b) got some interesting fashion sense (or perhaps ‘flamboyant’ would be a better word). Glitter, shiny fabrics, bright makeup, leather, crazy prints, Magnus does it all and somehow makes it work, even when he’s running around to help save the world. It’s definitely out there but it’s also an essential component of his character. I was definitely not short on choices for this one – you guys know how much I love this trope. So I’ve gone with Eragon. I really love this book. It’s so tropey in general but I don’t care. I enjoy Brom teaching Eragon how to fight, use magic and just generally be a decent dragon rider. Eragon’s a bit of a rash idiot at the beginning but he gets there eventually and this relationship has a big impact on him for books to come. Poor Monty, Percy and Felicity. All they wanted was to see a bit of Europe and get away from their stuffy parents for a while. Next thing you know, they’re being held up by bandits and on the run from a very angry French aristocrat whilst trying to protect the work of a famous alchemist. Boy, travel is stressful. I’m going with my most recent read for this one, which I loved immensely. Evelyn is the heart of this story and the book details the events of her life from her teen years up until her 80s. She’s not perfect but she’s certainly interesting. 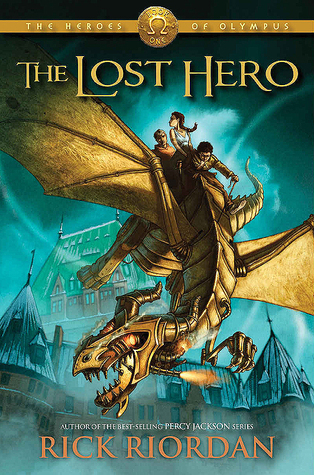 Piper was my favourite of the newly introduced demi-gods in Riordan’s The Lost Hero. For large parts of the book, Piper’s quite down on herself. She doesn’t realise the full potential of her abilities, chastises herself for not being able to do more in bad situations, and lets herself get pushed around by others. By the end, she realises her value and power, and finds a new sense of confidence. She plays a crucial rule in saving the day, stands up to a bully, takes leadership of the Aphrodite cabin, and convinces herself she’ll win “back” her guy. Go Piper. Avert your eyes if you don’t want to be spoiled. 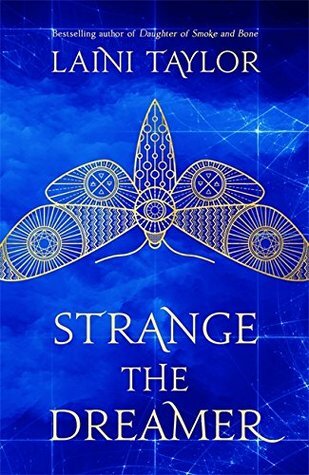 Sarai’s death is actually disclosed in the first few pages of Strange the Dreamer but for some reason, my brain just didn’t process it as being real. I was like, maybe it’s the past or a dream? Even when I got to the scene in context later in the book, I was like…nahhhhhh, Sarai can’t be dead. Later: Wait, she’s actually dead? Now she’s a GHOST. WHAT THE HELL? Let’s say I wasn’t expecting the story to take the direction it did going into book two. 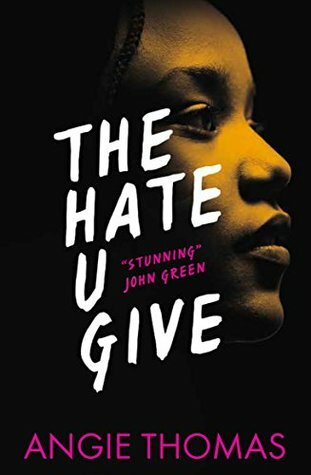 THUG was such a fantastic and yet gut-wrenchingly real book. The conclusion to the main storyline isn’t satisfying but it’s sure as hell realistic. The fact that this was the way things turned out made me feel absolutely awful for the characters, especially Starr, but worse still because this is what actually happens to African-Americans in the United States. At the same time, Starr’s final pages of monologue are extremely empowering and positive – she’s found her voice and won’t let anyone stop her from standing up for what’s right. She’ll keep fighting. The fact that it’s necessary is terrible but it’s a really strong and wonderful way to end the novel. And that makes an even dozen. There are actually two movies on this list that I haven’t seen, Nightmare on Elm St and Pretty in Pink. The first is because I don’t do scary movies and the second, I just haven’t got around to it. Perhaps in the near future? How many of these 80s classic films have you seen? What’s your favourite 80s movie? I know I actually tagged a list of people when I created my Six of Crows tag a while back but this time around I’m sticking to my usual practice and not tagging anyone. If you’d like to give my 80s Movie Book tag a go for yourself, please do! I would love to see your answers so make sure to tag me!! This is such a cool tag! So creative!! Thanks Kelly! I had a lot of fun making it. I’d love to see your answers 😊. Awesome tag, I loved your answers 🙂 The Perks of Being a Wallflower has so many amazing quotes and I really want to read The Captive Prince series as it sounds so good. Thank you! 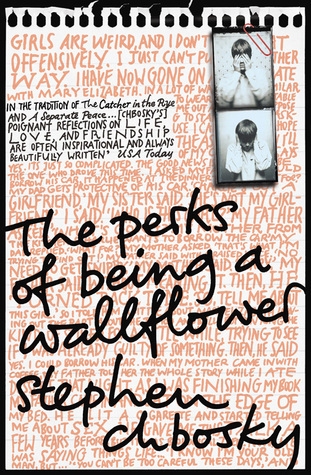 Perks is such a great book. I love the film too. 😊 Captive Prince took me a while to warm up to but it’s good if you’re after something a bit trashy with solid world building. There are so many big movies from the 80s! I think most people will have seen at least a couple from this list. Oh, Strange the Dreamer. You heartbreaker, you. 😭 Kady is great, I love her little rebellious heart. 😊 Haha, I definitely would not want a trip like Monty, Percy and Felicity’s! No thanks! But it’s definitely fun to read about. Yeah, I guess it was just until I saw your list I never associated these films with the 80’s.